Welcome to the VGEvo staff's look back at 2014. In this piece we fondly recall our favorite moments that we believe we will still be talking about years from now. We'll also revisit what we thought went wrong, and what we think has great potential for the future. Nothing gets us more excited than a good villain we can hate. The history of gaming is full of legendary antagonists to whom we have enjoyed delivering crushing defeat. 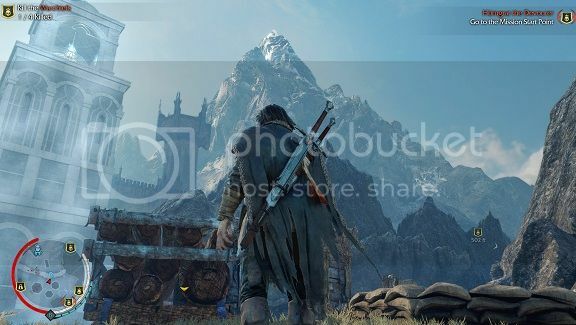 As it turns out, this is the exact thing that seems to resonate the most with people in Middle Earth: Shadow of Mordor. The twist this time is that the most memorable villain is hand-picked just for you. 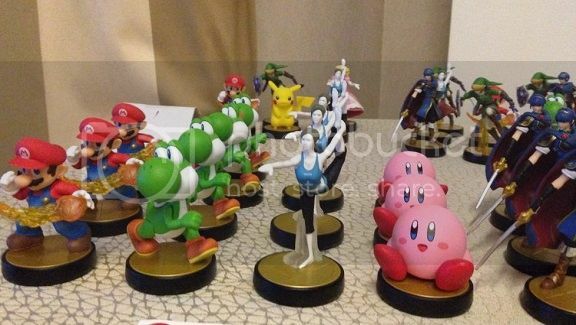 Amiibos have been out for just over a month now and are a huge hit for Nintendo. However, limited availability and very confusing messaging from Nintendo have made the hunt for these toys into an exercise in frustration for many. Read on to marvel at my brief descent into amiibo madness, and how I rescued myself from falling too deeply into the rabbit hole of "amiiwoes". We're Giving Away a Copy of Super Smash Bros. 3DS! Seasons Greetings, VGEvo members! We're celebrating the holidays by giving away a copy of Super Smash Bros for the 3DS to one lucky person. JUST CLICK THIS LINK AND FOLLOW THE INSTRUCTIONS ON POSTING for a chance to win! If you're not already a member of VGEvo.com, that's okay...signup is easy and FREE. GOOD LUCK! I haven't really reviewed a game in years. On my podcast sure, but not in the written form, not in a long while. Bayonetta 2 has inspired me enough to come out of retirement so I can tell you to run out and buy it. Its really as simple as that. I will go on and express the ways that this game has won me over and how I think this will apply to you as well, but if you're one of those people who scrolls to the bottom and looks for whatever score would be typically assigned down at bottom of the review on other sites, I'll save you some time and tell you it gets a BUY out of 10. It's been 20 years since the original PlayStation console launched (December 3rd, 1994 in Japan). To celebrate, Sony has released a 20th Anniversary edition of the PS4 in original PS1 colors, and it's gorgeous! There are plenty of online multiplayer games to play on consoles and PC as well. Here is a list of the corresponding threads where you can discuss a game and gather friends for some online multiplayer. Alien Isolation is the latest entry in the video-game related "Alien" series based on the movie franchise of the same name. Preceded by the universally panned Aliens: Colonial Marines, specifically due to the game not looking or feeling like anything that they had presented during their press conferences and it was filled with bugs and glitches - considered an extremely unpolished title by nearly all of the gaming world. Xbox One sees it's lowest price drop ever to $350 for some bundles this holiday season. That means under PlayStation 4 pricing and includes a game (minus Kinect)!